This orthotic was worn every day for 12 years. The base shell was still perfect but the leather top cover eventually gave up. After recovering and some refurbishment, the orthotic was restored to it’s former glory. Here is the before and after. There was no need to make a new orthotic. Just a simple refurbishment was all that was required. Osgood Schlatters and Severs is a painful condition that affects growing children usually between the ages of 11 and 16. In the past it has been more common in boys than girls however now we see an even distribution between boys and girls mainly due to girls having more chance to play sport. The pain that occurs at the front of the knee and the back of the heel happens when the growth plate is inflamed. In a growing child the growth plate is slightly detached as this is where the growth of the bone occurs in length and when the child is very active this already inflamed growth plate can become angered and become very painful immediately after sports. It can be as painful as a broken bone. Rest and cool compresses immediately after sport will always help. However the children that are sporty off and do not want to rest and asking them to have time away from sport is very difficult and emotionally traumatising for them if they’re not playing sport every day. So this painful condition is a series of events. Firstly the child is always very active and sporty secondly the child will be going through an intense growth fees for example if you look at the lines behind their knees you will see a few of these lines where there should only be one in an adult these growth lines were sure how much they have grown in recent months. And thirdly the Inability to rest I am for a few weeks to allow the inflammation to go down exacerbates the condition. There is usually a structural issue that makes the problem worse for example the feet leaning and can cause extra pressure on the calf muscle to attach with the Achilles tendon into the back of the heel bone. 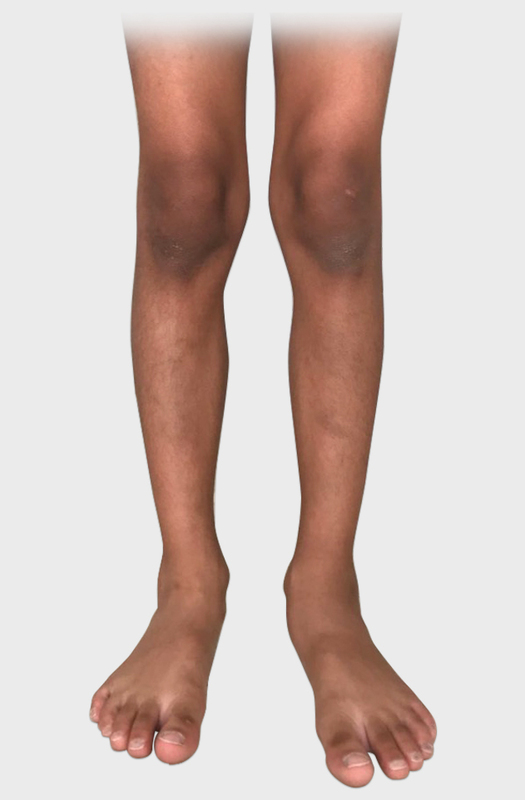 Children with high arches off and develop more pain in their knees due to the very strong pull of the anterior tibialis muscle into the toes which attaches to below the front of the knee and this is where the growth plate exists. When there is damage to the plantar fascia band that inserts into the heel bone, the calcaneal nerve can become pressurised causing the pain to increase. 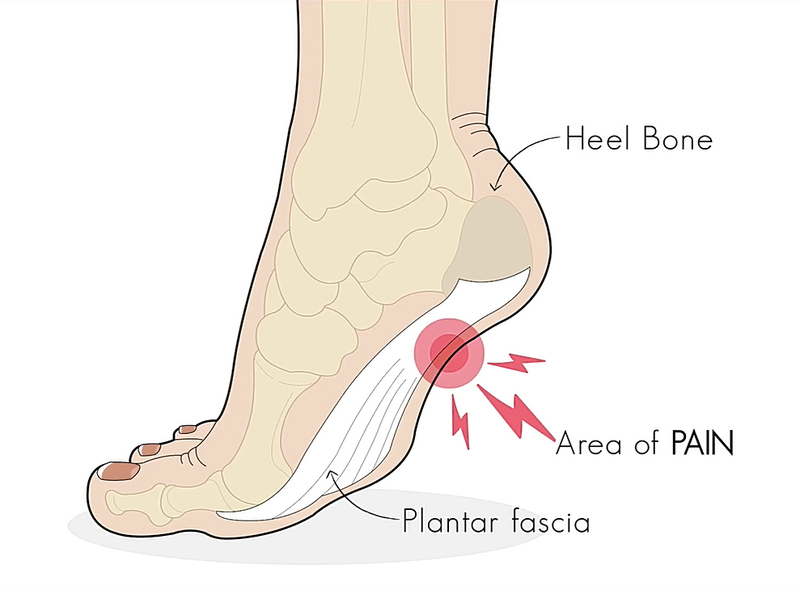 If the plantar fascia continues to pull on the heel bone for more than 1 to 2 years, a heel spur or spike will begin to grow. This heel spur can press on the calcaneal nerve if the enlargement is great. This is a very rare case but it is a possibility to be checked with a 3-D CT scan or contrast MRI. In Dubai is very common for men and women to suffer from heel cracks. The skin becomes dry and papery and there is a white powdery appearance to the skin. The skin loses its elasticity and begins to split. A medical pedicure can remove a lot of the excess skin on the feet and then deep penetrating antifungal gel is placed on the feet. 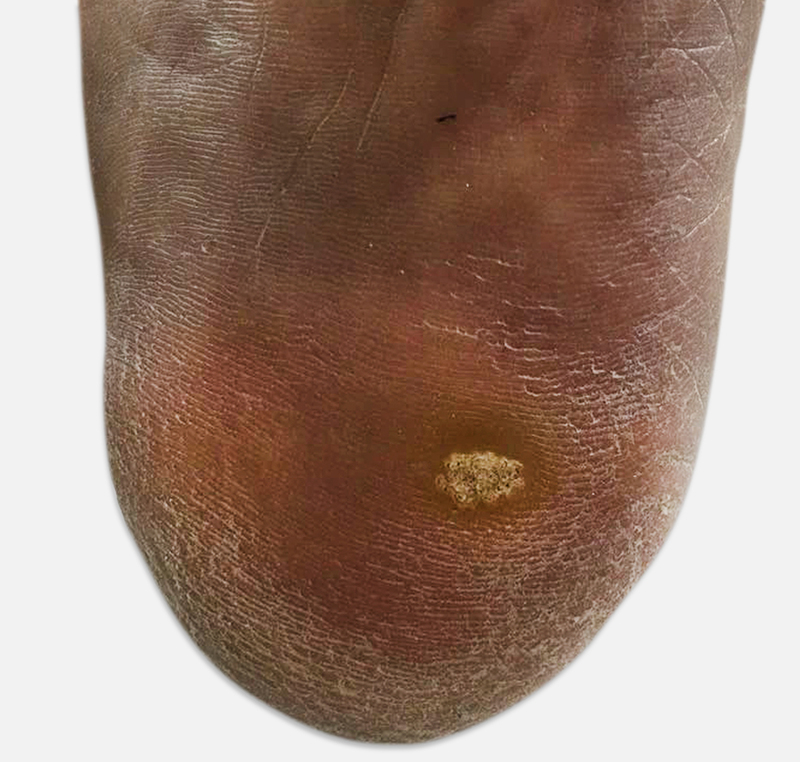 The main cause of heel fissures is a dry fungal infection which actually gets worse the more you moisturise your feet. Shoes for flatfeet correction is a very old and traditional method of treating flat feet. With today’s technology most flatfeet can be corrected within 1 to 2 years and wearing normal shoes. With modern day materials the foot arches can be raised and the ankle can become straight using materials less than 1 mm in thickness. This has been very helpful in the treatment of flatfeet which means that the patient can wear normal shoes instead of medical shoes. 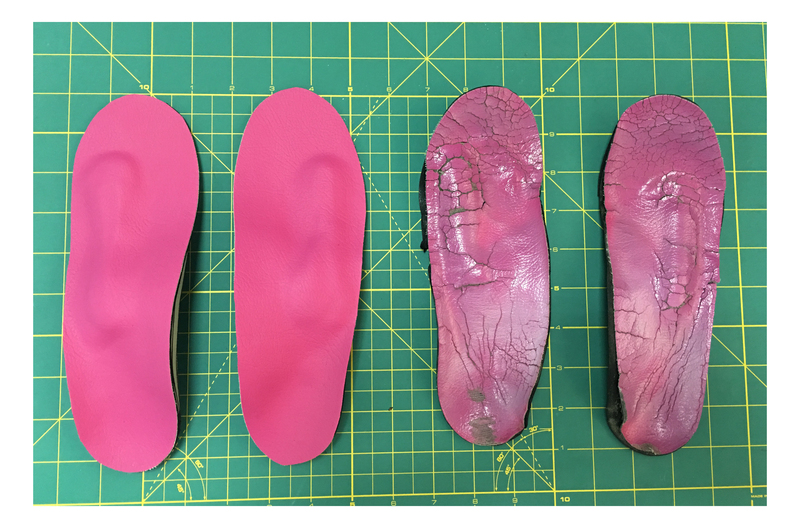 The cast of the foot is taken to make a mould and then a customer medical prescribed orthotics is made to fit inside regular shoes that starts to correct the foot usually the patient may need between 3 to 6 pairs for correction over 1 to 2 years time. 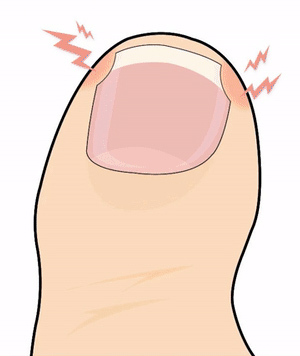 When you have a verruca or a plantar wart on your foot refrain from picking and trying to remove it using your fingers. It also spreads very easily to other skin and areas. 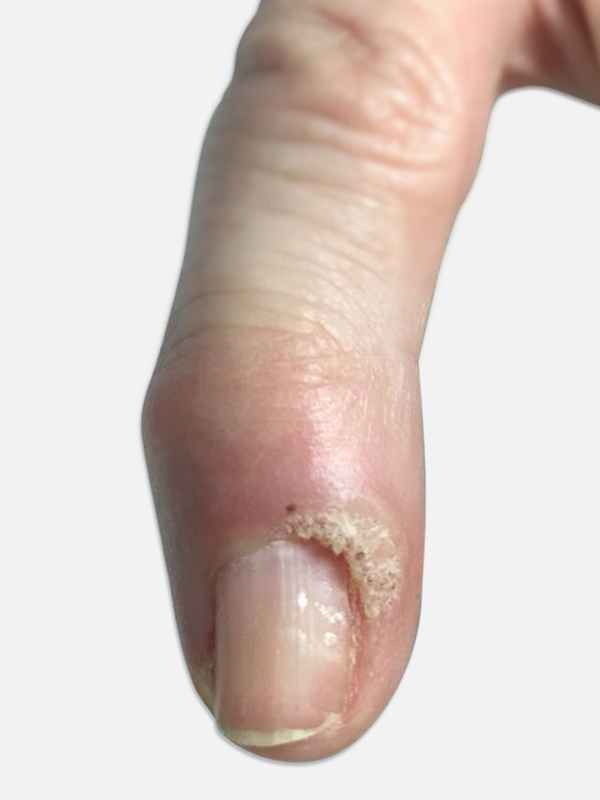 In the images shown, the original warts were on the feet and have spread to the fingers and around the fingernails from a manicure. 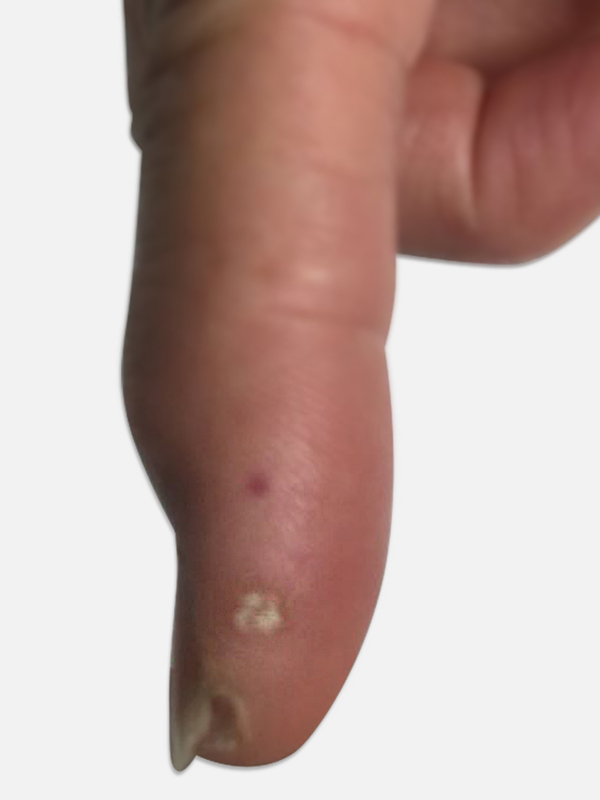 The virus can also spread from using the same tools such as a cuticle cutter and then using them your wart to trim off the dead skin like so do to remove a corn. 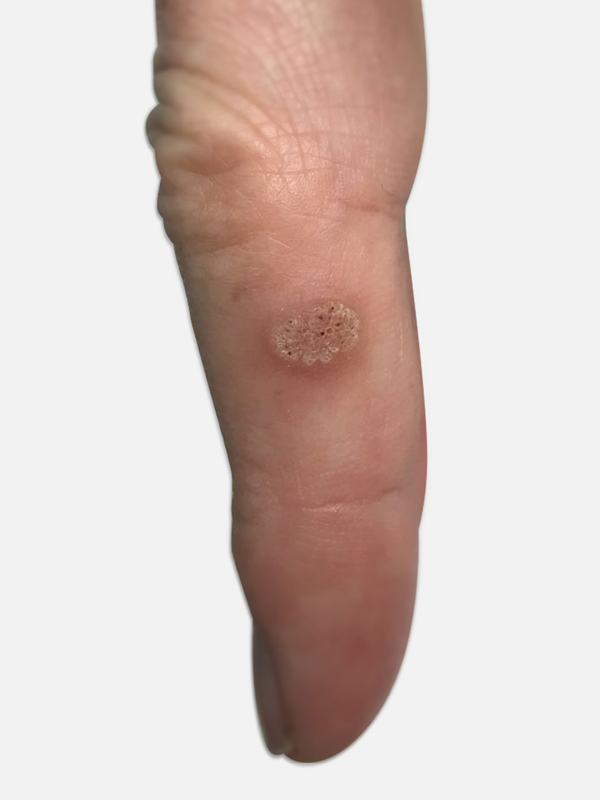 Picking and playing with the warts and verrucae out of habit will spread the virus to other fingers and toes and skin areas. 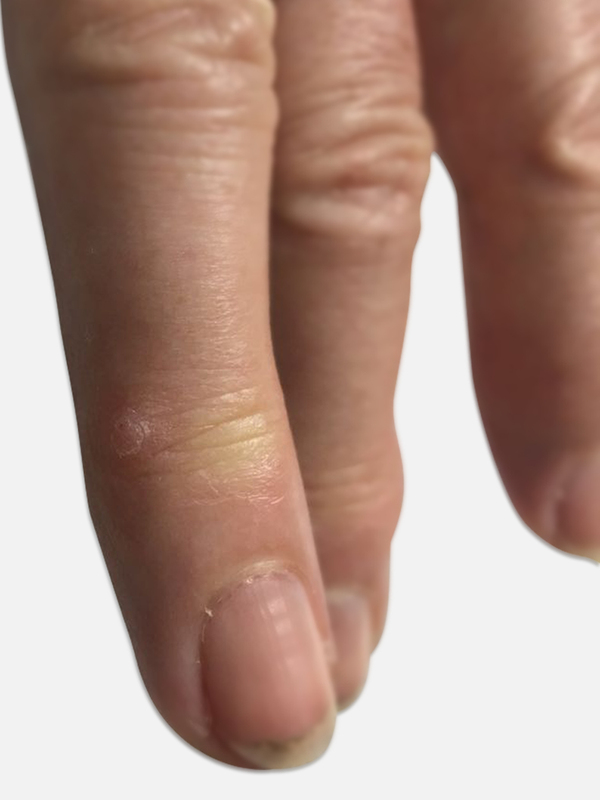 For example, if you have a wart on your finger and you bite your finger nails, you can spread the warts to your lips. Similarly, if you sleep on your side with your hand on your cheek you can spread it to your face. Visit the Podiatrist for swift treatment to get rid of this virus. Achilles tendinitis and Plantar fasciitis is a painful foot I just affecting dog walkers in flip flops in warm countries. “Dog walkers heel” develops over time when wearing flip flops to walk the dog. It leads to fallen arches giving plantar heel pain and Achilles tendinitis. Wearing supportive shoes such as sports shoes when out walking the dog can help alleviate the symptoms. In cases where the foot has displaced and wearing sports shoes is not enough to help the foot injury fully recover, a corrective orthotic to lift the foot arches is made from a cast of the foot. These should be worn for 6-12 weeks in shoes to realign the foot again. Silicone heel cups and cushions are designed to mimic the plantar fatty padding on the heels. Best used for elderly patients where the fat pad under the heel diminishes after the age of 70 years. Also very helpful in populations that genetically have less fatty padding on the sole of the feet. Not useful for heel pain for plantar fasciitis or Achilles tendinitis. See corrective orthotic of Achilles tendinitis and arch support orthotic for Plantar fasciitis. Podologue is a French term for a Podiatrist. Here at the Dubai podiatry Centre our medical nurses carry out the medical pedicures that are very similar to pedicures with the Podologue in France. 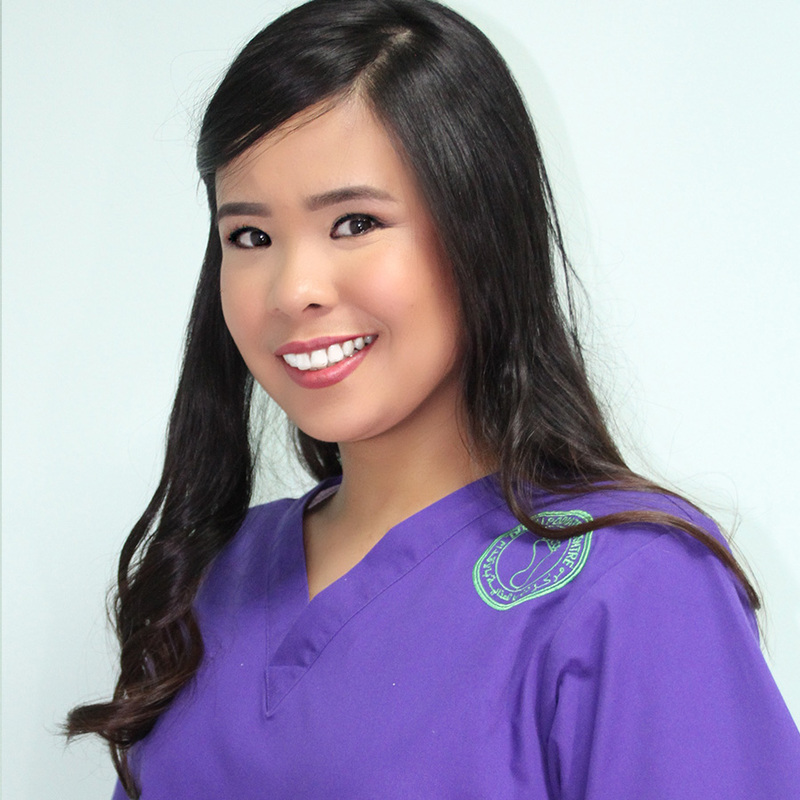 A Podiatrist is similar to a Dentist and a Podologue is similar to the Dental Hygienist. This is why our Podiatry Nurses make the medical pedicures. 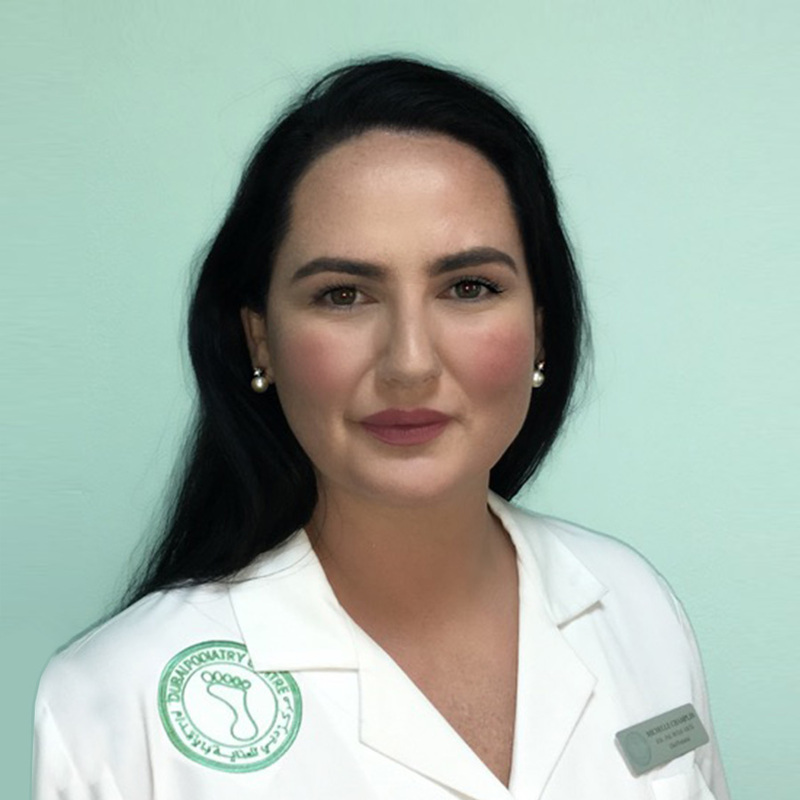 We use the latest methods with the most up to date technology using diamond head tungsten carbide dental drills to smooth off the hard skin to make baby soft skin, instead of using blades and scalpels in the traditional way from many years ago. Technology has advanced in the hard skin removal process. Just like Dentists using plaque scraping tools to pull the hard plaque off of the teeth, hard skin removal now no longer uses scalpels and blades and uses dental drills which takes plaque off of teeth to remove the hard skin plaques on the feet. An ingrown toenail in Dubai is easily treated. 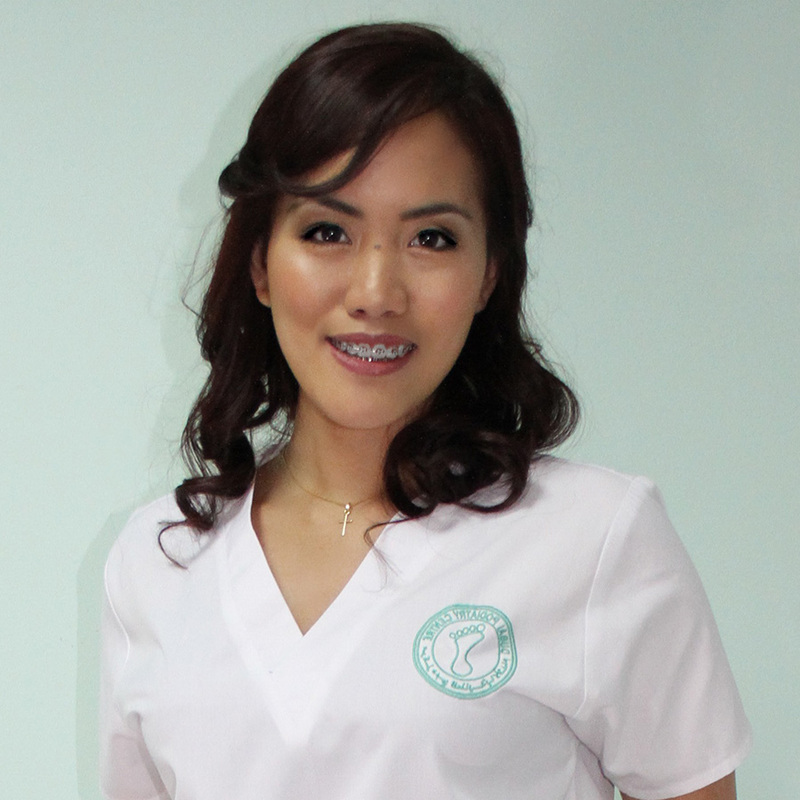 At the Dubai podiatry Centre we are a centre of excellence for foot care only. 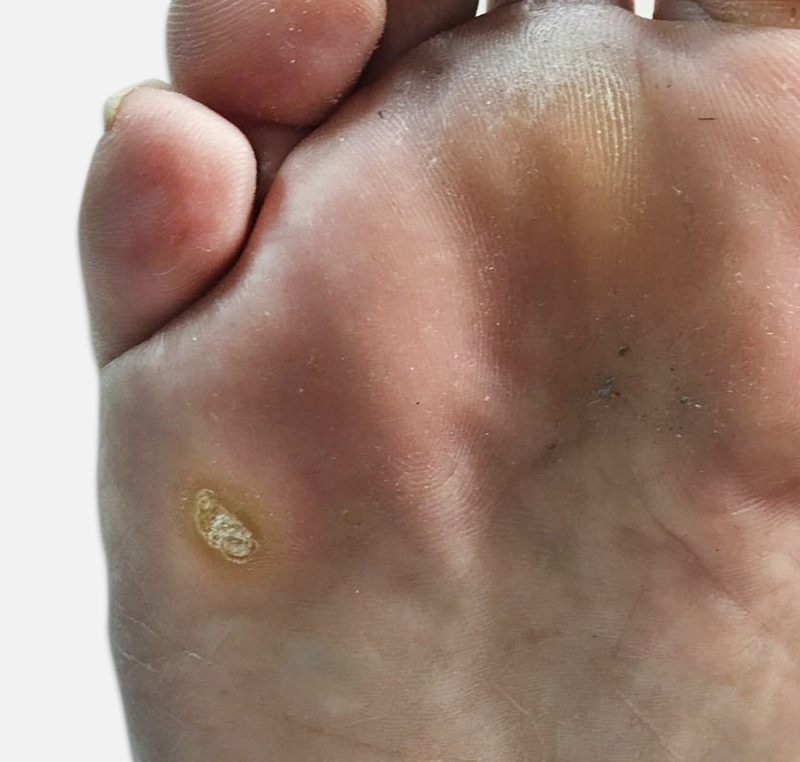 The podiatrist will assess your ingrown toenail to discover the reason for the toenail causing a problem and will give you the options available for the treatment and correction of this problem permanently.